In the eighteen months since Monster Truck released debut album Sittin’ Heavy, idle is not something you can accuse the Canadian rockers of being. Support slots with the likes of Nickleback and Deep Purple, as well as various appearances at festivals the length and breadth of the UK and Europe have kept them firmly in the mind’s eye. Regular plays on Planet Rock Radio have further affirmed their status as ‘ones to watch,’ too. So it is that when True Rockers arrived through the door, glee was the paramount feeling. And rightly so. Energy. That’s the optimum word that best sums up the album as a whole and the opening True Rocker, which features and irrepressible contribution from Dee Snider, sets the tone from the off. Loud, rollicking and Rockin’ to its very Roots, here’s a track guaranteed to have arenas quaking during the band’s upcoming tours. Evolution is an absolute joy. It’s catchy tagline an earworm devotees and newcomers will embrace with open arms. It’s also a song that cements the band’s overall intent: to entertain at all costs. This is good time metal, with fun at its epicentre. Okay, there’s nothing particularly new or inventive going on here. Then again, who cares? 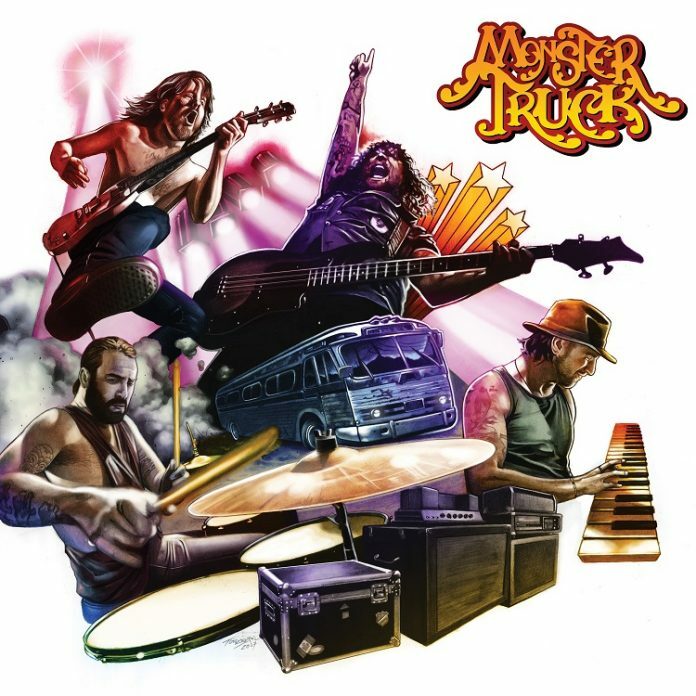 What Monster Truck deliver by the, ahem, truckload is Good-Time-Feel-Good-Out-n-Out Rock designed for playing at volume 1,000+. Nothing more underlines this than Devil Don’t Care, with Jon Harvey’s rip-roaring bass and vocals combined with Jeremy Widerman’s ferocious guitar work marking out magnificently the sum of the whole. Denim Danger may be bordering the lands of the cliché but, man, does it deliver! Ballsy, brash and blisteringly bold, this is the true standout track that’ll have you reaching for rewind more than any other. True Rockers isn’t all Bash-n-Crash either and it’s in the more contemplative tunes Monster Truck really come into their own. Young Wild and Free is a made for radio anthem guaranteed to keep the head-bangers happy, whereas Undone is a song of quiet assuredness that bodes as well for the future as it does the present, with regard to lyricism. Steve Kiely’s metronomic, powerhouse steerage from the rear provides the solid foundation from which their sound derives, but it is the collective dynamism of Monster Truck which truly shines and although True Rockers is hardly ground breaking, not everything needs to be in creating what is, nevertheless, a bloody good album!